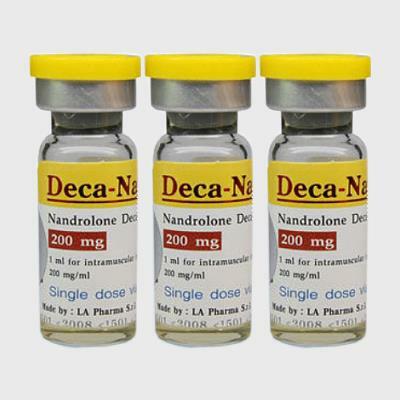 DECA NAN IS THE BRAND NAME FOR NANDROLONE DECANOATE: the most popular injectable steroids. It’s popularity is likely due to the fact that Deca exhibits significant anabolic effects with minimal androgenic side effects. Considered by many the best overall steroid for a man to use (side effects vs. results) Deca is most commonly injected once per week at a dosage of 200-400mg. With this amount, estrogen conversion is slight so gyno is usually not a problem. 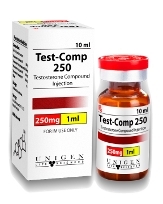 Also uncommon are problems with liver enzymes, blood pressure or cholesterol levels. 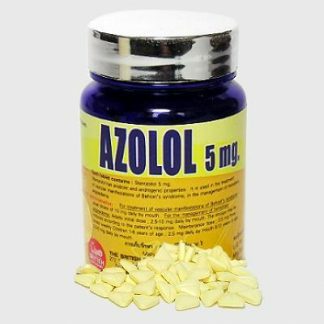 At higher dosages, side effects may become increasingly more frequent, but this is still a very well tolerated drug. If used for bodybuilding, Deca can effectively be incorporated in both mass and cutting cycles. One major drawback to Deca is that it can be detected in a drug screen for as long as a year after use. Deca Nan is considered to be the most popular of all steroids. 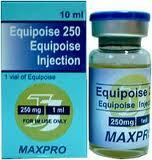 It is an oil based injectable that comes in 100 mg/cc containers. It produces very few side effects. 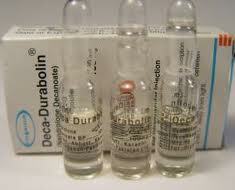 Deca Nan is also considered to be the most popular of all steroids. 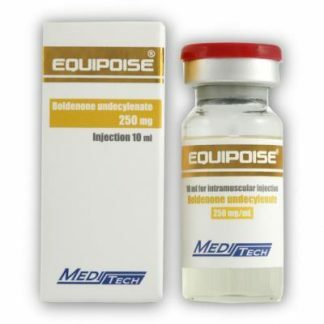 It is an oil based injectable that comes in 100 mg/cc containers. It produces very few side effects. Deca Nan is easy on the liver and promotes good size and strength gains while reducing body fat. Deca only aromatizes (converts to estrogen) in extreme dosages. It is highly anabolic but only moderately androgenic. Deca Nan does shut down natural testosterone production, but it is not extreme. Gains will minimally dissipate, if at all, after the cycling period if workouts are kept intense. Usual dose is 200 mg per week with highs ranging 200 mg a day. The average duration is about 2 to 4 month. There are very few side effects. Blood clotting time is increased so that some people may experience bloody noses when they are dehydrated. Deca Nan is generally considered by athletes and sports medicine physicians to be the safest and most effective injectable anabolic steroid. 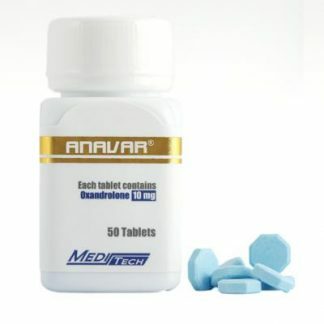 Nandrolone decanoate is mildly androgenic and is becoming increasingly popular with women bodybuilders. 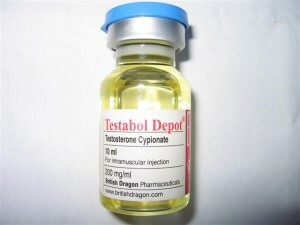 Although side effects similar to those of other steroids have been reported, the effects are relatively uncommon when compared to other forms of steroids. 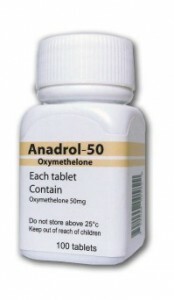 Nandrolone does not effect the immune system, unlike testosterone! It will not damage connective tissue, e.g. elbows, knees (Big problem amongst heavy steroid users). It does not aromatize easily and gives the body a lean hard look.